Adho Mukha Svanasana. 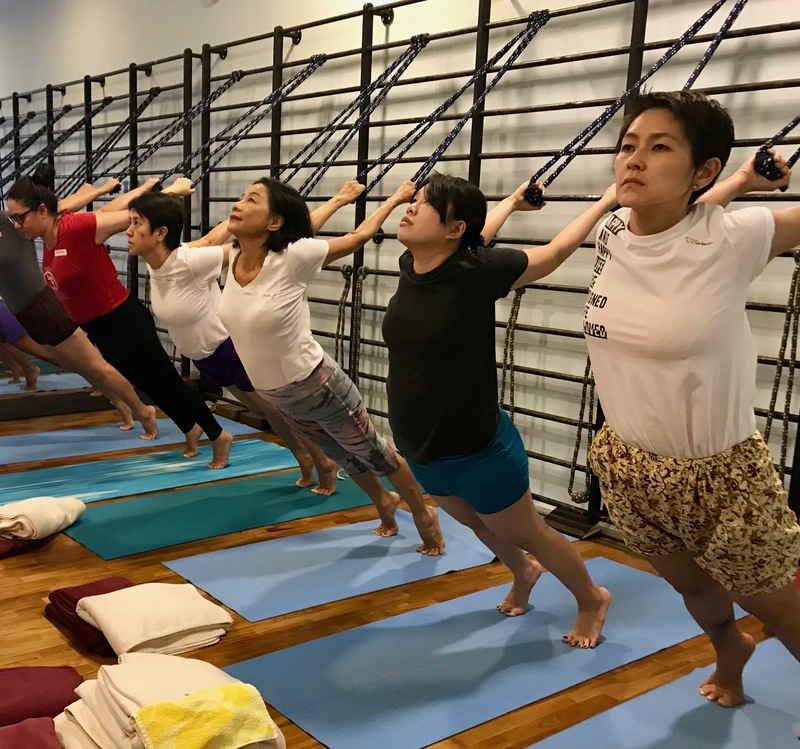 Practicing with the forearms on blocks provides better access to armpits, and breast and lung tissue. Adho Mukha Svanasana with Baddangullyasana, arms behind. 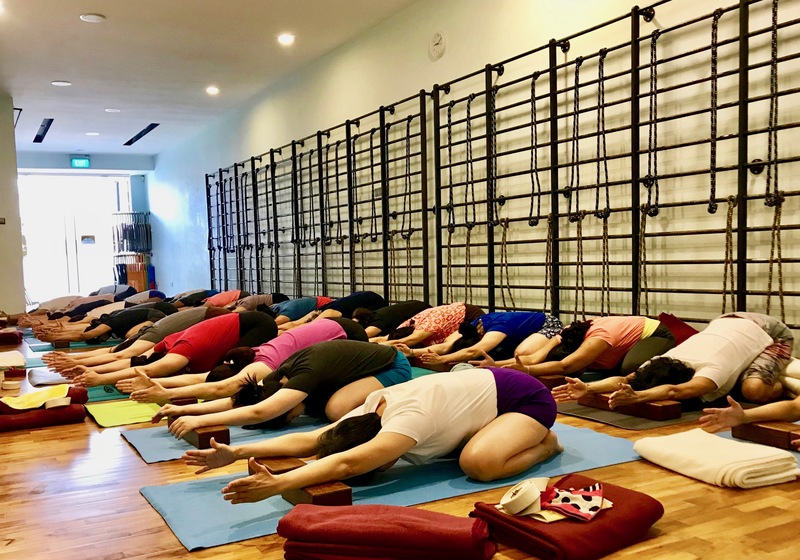 Rope Bhujangasana. Here the feet are one ft. apart. Then learn to practice with the feet together. Rotate the inner thighs back, and move the tailbone forward and up. Raise the ribcage and the entire torso up. Curve up and back. 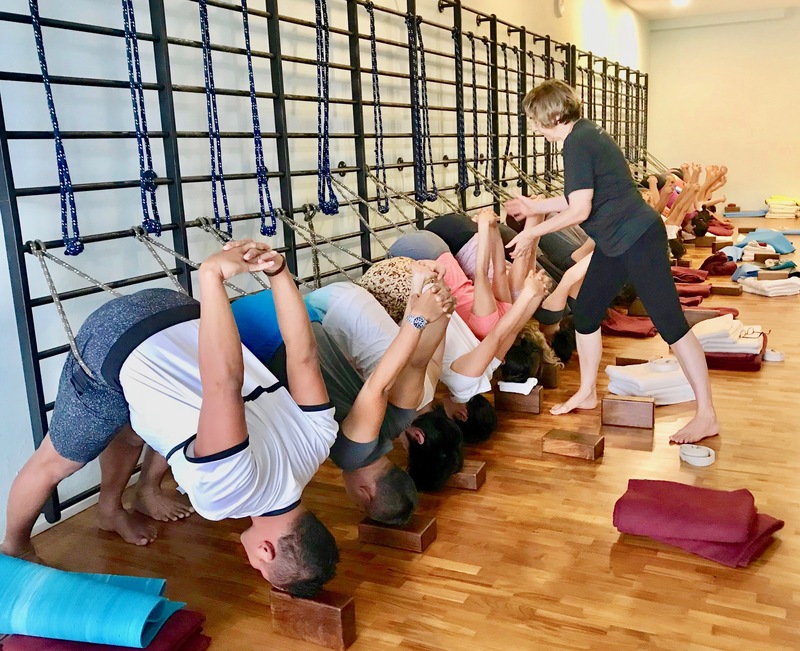 Rope Purvottasana. In this variation, the ropes are doubled over. To curve further back, open them to their full length. See page 89 of Yoga In Action. Intermediate Course -1, for the best instructions for this, and Rope Bhujangasana. Virasana with upper body curved back over a chair. 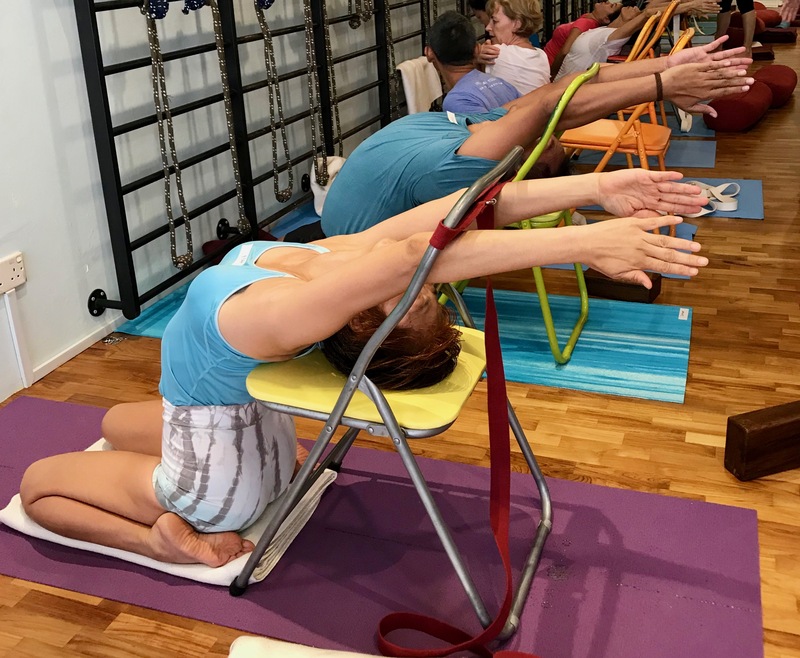 Upper Body Back Bend over a chair. Urdhva Dhanurasana. Press down through the hands, raise the heels, press the tailbone up, and extend and open the top/front groin skin. 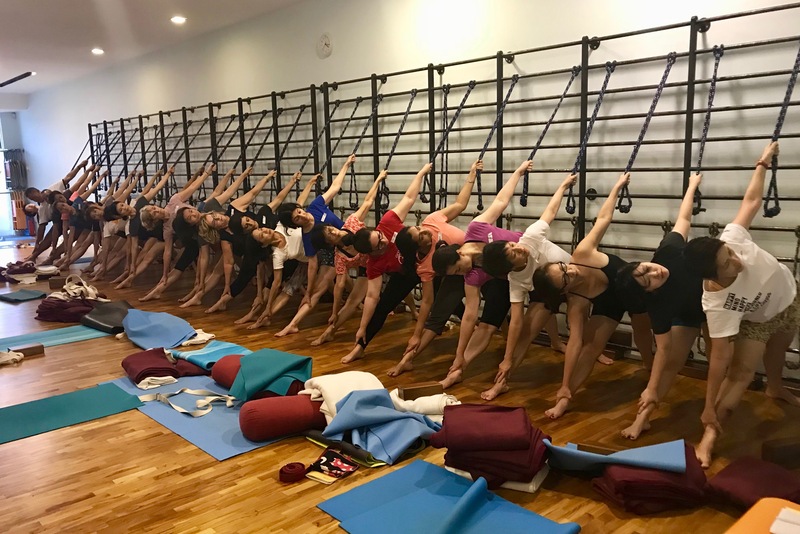 Continue pressing the tailbone up, and maintain the extension of the front groin skin while slowly bringing the heels down (outer knees to inner knees).